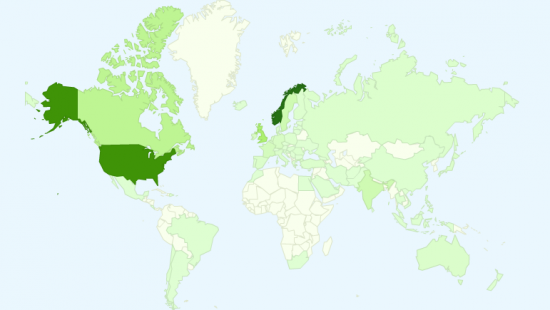 In case you wondered, here is a map of our listener demographics. Down was such a success that they decided to do Plague Dogs to replicate that success with another story by the same writer. I like Watership Down better than Plague Dogs. It just seems to have a better story. Plague Dogs has a somewhat ambiguous ending.